I sincerely hope someone has told Mr. Douglas about the use of Omega 3 fish oil for his cancer. The famous actor is suffering from Stage 4 cancer of the base of the tongue, often associated with the HPV virus (human papillomavirus). Studies have shown multiple roles of fish oil in this and other kinds of cancer including prostate, breast, and colon (yes, numerous colon cancer studies reveal the benefits of fish oil!). 1) The higher the amount of Omega 3’s in the blood stream the lower the risk of cancer, according to studies as far back as 2003 and repeated several times since then. This is why I am constantly peeved at the attempts of drug company sponsored journals to publish articles that claim that adding more fish oil is of no benefit for heart disease. I have already ripped that study to shreds but there are other illnesses out here besides heart disease. As a matter of fact, if you are currently under the age of 60 you stand an equal chance of dying from cancer or infection or both, as the rates of heart disease continue to decline slowly over the next couple of decades. 2) It seems to have anti-cancer properties once the cancer is actually present, meaning people who are on Omega 3’s do better outcomes wise. 3) It augments the chemotherapy routines and decreases the side effects. 4) It augments the radiation routines and decreases the side effects. 5) It’s early in the game but fish oil Omega 3’s also seem to decrease recurrences and metastasis. 6) Fish oil has been shown in numerous studies to decrease the overall mortality rates from all causes as much as 25% (more in some studies). You don’t have to be an optimist or a rocket scientist to see how terribly important fish oil is. But don’t short change yourself. Make sure you use my doctor-designed doctor-used and doctor-proven Ultra Pure Fish oil, which exceeds all purity standards anywhere in the world including the California Proposition 65 that got so many fish oil companies in trouble. Anything less is asking for trouble. 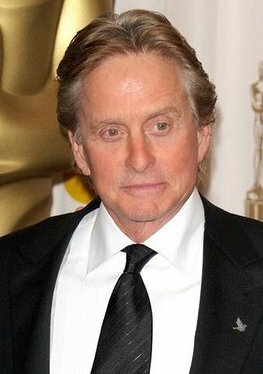 Here’s hoping Michael Douglas’ doctors are savvy in the use of nutrition to fight cancer!